If you're in the mood for something light, sweet, and refreshing on a warm, sunny day—an ice-cold cup of bubble tea truly can’t be beat. 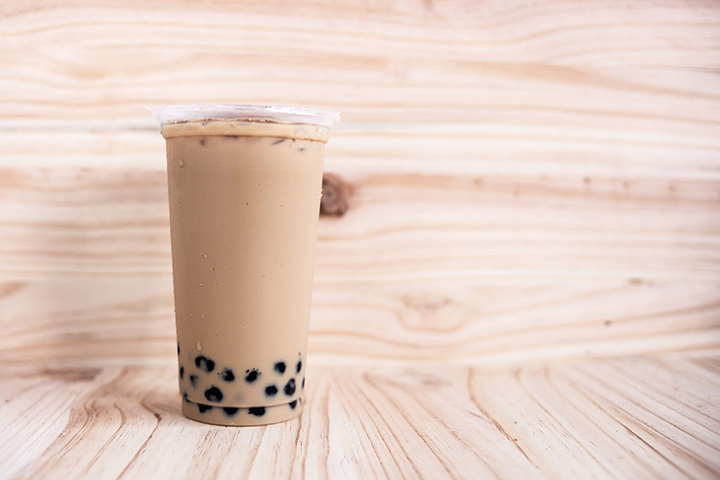 From classic milk tea with plain tapioca pearls to more adventurous flavors and toppings like taro and popping boba, these 10 places for bubble tea in Pennsylvania are sure to quell your craving. The Chinatown section of Philadelphia offers a variety of places serving bubble tea. But, many of them don't quite compare to Tea Do. Here, the bubble tea—whether you choose a fruit or milk base—is fresh, tastes great, and the service is top notch. With the popularity of Tea Do comes lines, but they move quickly so bubble tea addicts don't have too long a wait. Locals love the lychee jelly topping, almond milk tea, the Grinch, and taro milk tea. At the Lulu Café storefront in West Philly, high-quality beverages and snacks (don't leave without trying the popcorn chicken) are the rule—not the exception. All of their teas are fresh brewed using tea leaves from Asia, their matcha is made from scratch, and fresh fruit and flowers are added to each drink where specified on the menu. The space, albeit small, is charming and decorated with nods to the shop's mascot—a French bulldog named Lulu. Her likeness is featured on the cups, too, and if you stop by the store when it's sunny out, you just might catch her! TranquiliTEA Temple was founded on Chinese tradition. Finding it difficult to source quality tea leaves, Tracey Wang Stuligross took matters into her own hands and opened up shop in West Chester. Along with loose leaf tea and various Chinese-inspired gifts, shoppers can also try milk bubble tea and Asian snacks like Pocky and Hello Panda. The tea temple offers milk-based bubble tea and fruit flavors like coconut, honeydew, and mango, among others. We'd go for the strawberry, matcha green tea, or Thai tea...but that's just us! Swirled Peace in Lansdale brings quality coffee, tea, bubble tea, frozen yogurt, frappes/smoothies and more to the suburbs. While their bubble tea menu is pretty basic—the quality of ingredients is anything but. The space is well-lit, clean, modern, and welcoming. And what's more? Per their website, patrons are welcome to utilize the space as a second office or for meetings or study sessions. Post up for the day with a cup of coffee in the morning, an afternoon bubble tea—and for dessert? Frozen yogurt, of course! Beating the heat at the Ice Cave isn't difficult to do. This University City shop serves up authentic Taiwanese bubble tea, shaved ice, popsicles and more. Bubble tea at the Ice Cave is made with real milk instead of lactose or dairy free options—giving it a creamy and light finish. And the tapioca pearls are made in-house, too—unlike many other bubble tea places. Stop by Ice Cave to taste their bubble tea and decide for yourself. Boba Tiki specializes in drinks and desserts. Their relatively limited menu allows the tiki's specialties to truly shine. They offer up bubble tea, slushies, other dessert drinks and a selection of desserts from Thai rolled ice cream to crepes and shaved ice. Step inside and try one of their unique tapioca bubble teas today. And maybe a rolled ice cream, too! At Zero in New Hope, you can expect a variety of tasty treats. From homemade waffle cone ice creams, to bubble and loose-leaf teas and rolled ice cream inspired by "traditional recipes and techniques" used in Thailand, per the Zero website. With an emphasis on fresh and high-quality ingredients, guests at Zero should expect delight and no less. Their bubble teas come in a variety of flavors and can be topped with plain tapioca pearls, mango boba, strawberry boba, passionfruit boba, or coconut jelly. One of the best places for bubble tea happens to be in a pretty unassuming location—the Grove City Premium Outlets food court. But isn't that just how it goes sometimes? Choose from their 11 different bubble tea flavors to satisfy your bubble tea craving. You can even add popping boba if that's your thing. If it were up to us, we'd try the magic mocha—but all 11 flavors are sure to satisfy. Have your ever found yourself craving some chicken to go along with your bubble tea? Well, at Chick'n Bubbly, you can have the best of both worlds! Sweet and savory—Korean style fried chicken and refreshing bubble milk tea. It's an unlikely yet delectable pairing. And here, there are no powders in sight...because each bubble tea is made from real tea leaves. When it's fresh, it's best. The Bonbon Café caters to a hungrier crowd than most bubble tea places. They have an extensive menu of appetizers, soups, salads, and entrees—for those times when bubble tea on its own just isn't enough. Try the Mapo Tofu, Pad Thai, or one of their many other dishes—but don't forget to wash it down with a bubble milk or flavored tea. At under $5, these teas are a true treat (and one that won't hurt your wallet at that! ).